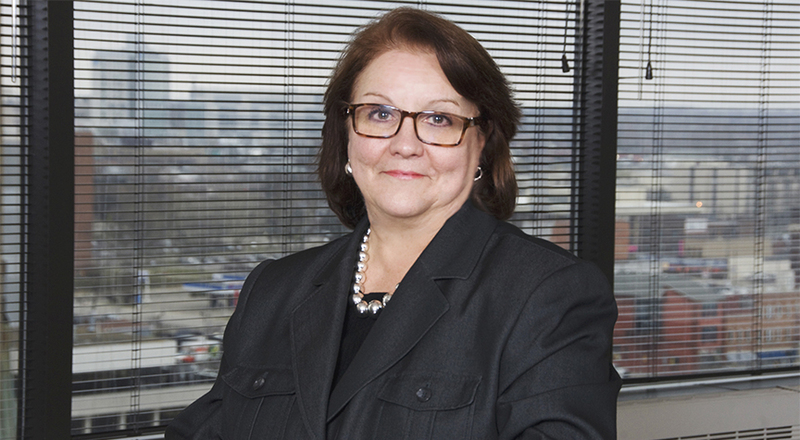 Pam has a unique background in both employment/labor law and Human Resources, which has contributed to her now serving as both a partner at Taft and as Taft’s own Chief Human Resources Officer. In her law practice, Pam represents and defends public and private employers in all aspects of employment and labor relations matters. She holds the distinction of being Board Certified by the Ohio State Bar Association as a Specialist in the practice of Labor and Employment law. Solid, practical “what-to-do” advice to employers. Defense of harassment, discrimination and other employment-related lawsuits and administrative proceedings. Negotiations for private and public labor contracts, interpretation and arbitration. Employer representation at trial and before administrative agencies. Compliance experience in all employment/labor laws. Other services for employers, including handbooks and policies, leaves of absence, accommodation, wage and hour, non-harassment, termination, separation agreements, reductions in force and last chance agreements. As Taft’s Chief HR Officer, Pam is responsible for providing leadership and establishing and implementing human resources strategies to support the policies, practices and operations for the organization. With more than 30 years' experience, Pam creates and delivers practical management training how-to programs specifically designed to teach effective employee management, within the confines of the law, to executives, managers and supervisors. Pam has been involved with a number of professional associations throughout her career. She is immediate past chair of the Ohio Management Lawyers’ Association. She is also a member of the Ohio State Bar Association: Labor and Employment Section and the National and Ohio Public Employer Labor Relations Associations. Pam proudly serves her community as a board member of Recreation Unlimited and as a member of the Recreation Unlimited Human Resources Committee; as a community board member for the Center of Science and Industry (COSI), and as a Certified Master Gardner/Volunteer. Pam received her undergraduate degree from The Ohio State University and earned her J.D. from Capital University School of Law.